Probably my favorite of the Datastorm invitations. Very smooth. Cute. <3 And music rules. Very cute, all the info you need, lovely music track. 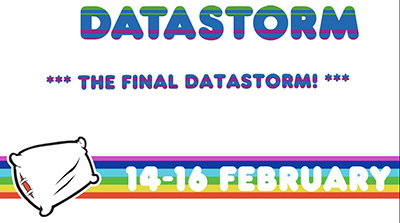 but very sad about "final one"... :( datastorm 2010 and 2012 are among the best demoparties i've been to. if you can, go there! sadly, i won't be able to, most likely. Music, style and flow! Very well done! I typically don't get much out of Flash stuff, but this one is simply lovely. Excellent invitation tune. rulez added on the 2013-10-17 22:14:40 by JAC! swedish quality and white background is always a plus. page created in 0.020122 seconds with 16 queries.